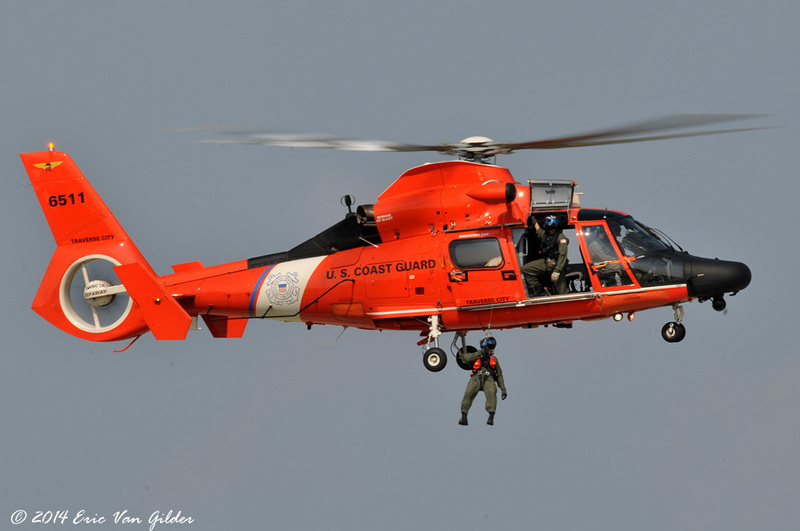 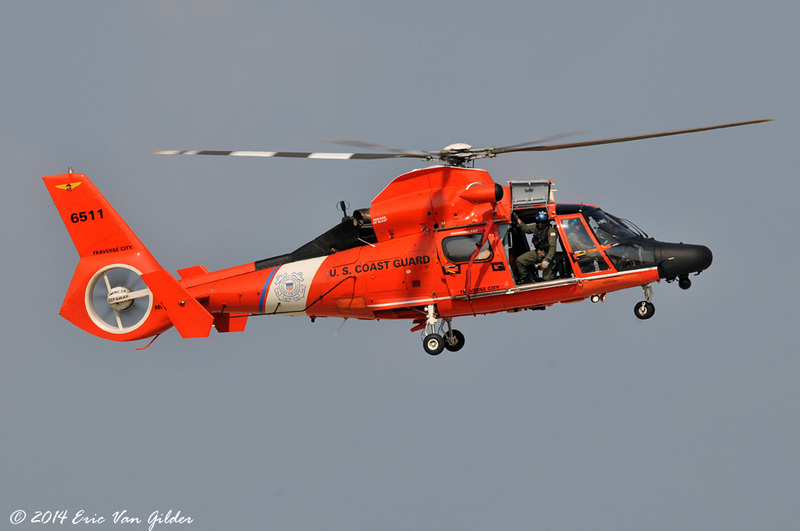 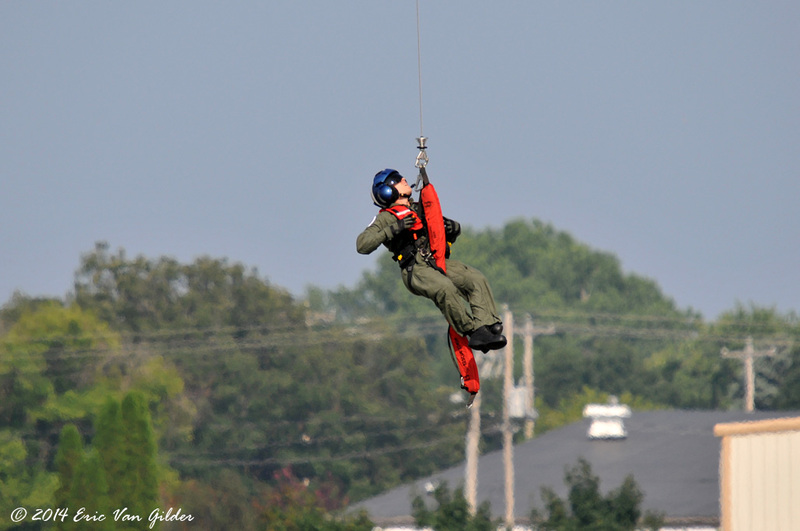 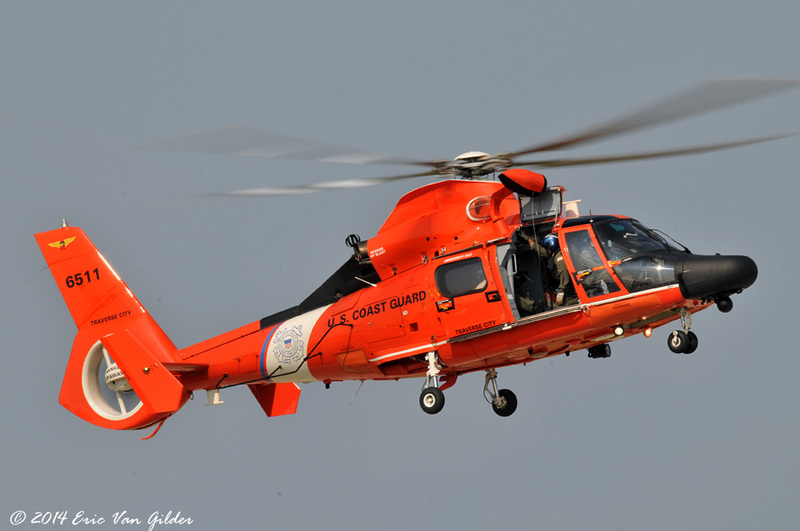 The US Coast Guard flew a search and rescue demonstration at AirVenture. 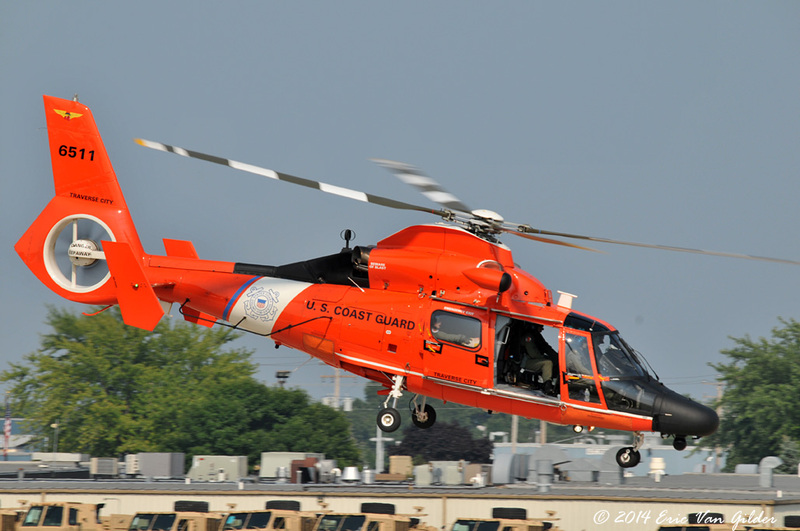 The Eurocopter MH-65 Dolphin is based at the CGAS Traverse City, Michigan. 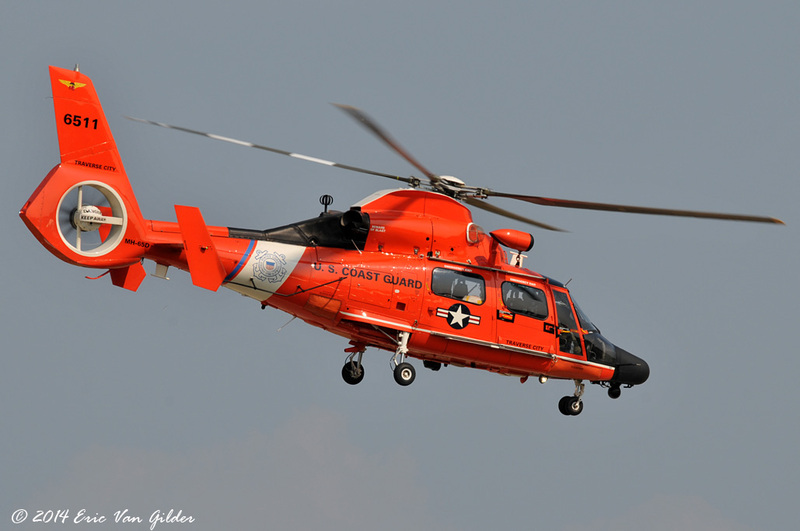 Their area of responsibility includes Lake Michigan, Lake Superior and Lake Huron. 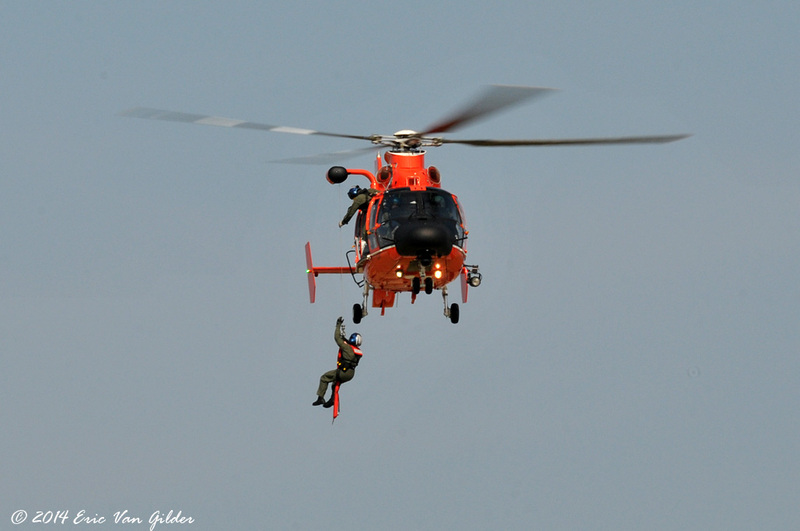 They demonstrated a water rescue.